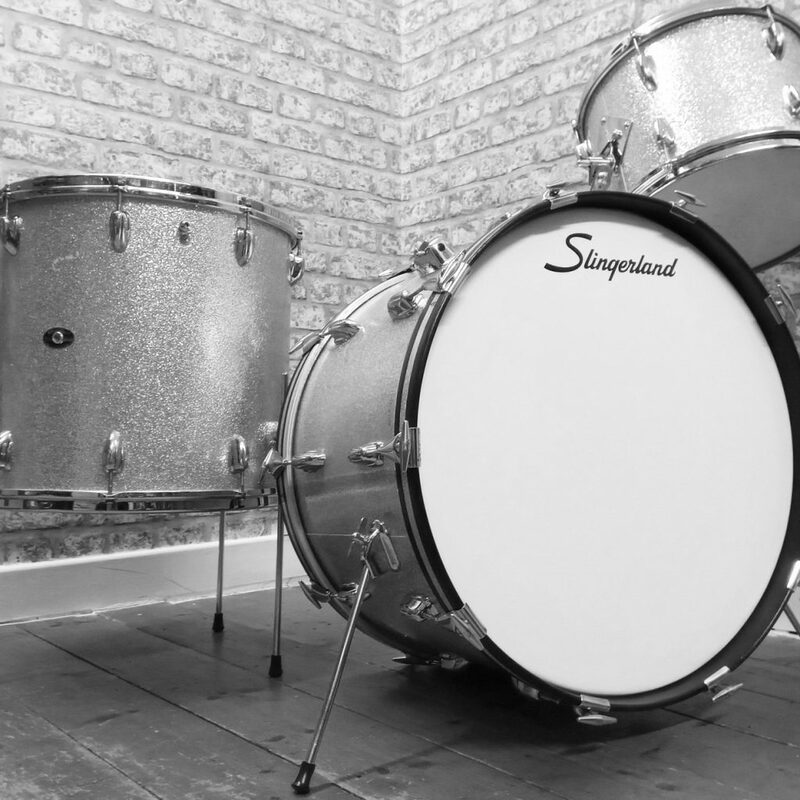 Vintage silver sparkle kit from 1964. 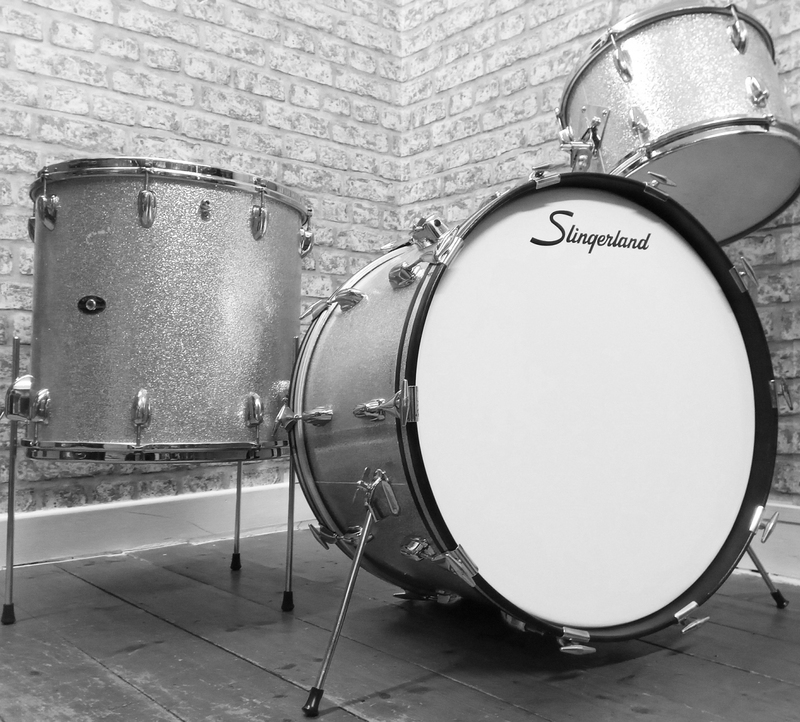 Comprises 22 inch bass drum, 13 inch rack tom and 16 inch floor tom. It is supplied with a snare drum of course.